In six easy lessons, learn how to break down the illusion of separation in your mind and realise God Consciousness. 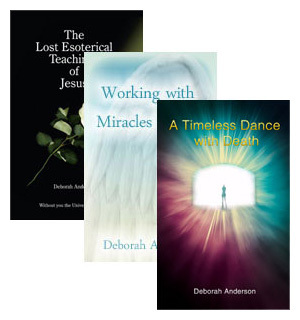 In addition to the Realize Your God Consciousness Now, Your Higher Self: A 6 Week E-Course, Deborah Anderson offers books and ebooks. 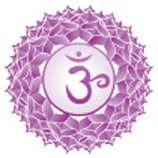 Please view the online store below to purchase these book and ebooks to support you on your spiritual path. It is your birth right to be in a permanent state of bliss. This is what you are all inherently looking for. All of humanity is looking for happiness. To be immersed in that total state of permanent exctasy and bliss. Of course consumerism knows this all too well. As Paul Mckenna rightly states in his book 'I Can Make You Rich' he mentions about Edward Bernays who was the nephew of Sigmund Freud, taught companies how to link the purchase of goods to peoples ego needs. The ego needs a means to find happiness outside of your self through social standing, people, circumstances and objects. But seeking happiness this way doesn't last and that is when suffering comes storming in. Is it really possible to live in this world in a permanent state of ecstasy ? Well, yes it is. When you are no longer tossed about by emotions, you are then able to make better decisions for your life. Instead of being troubled by something appearing negative to you, you are able to 'Let It Be' and in that mindset take right actions instead of a negative reaction. So How Can A Westerner Reach Inner Happiness - Enlightenment ? When you are sick and tired of suffering you are near enlightenment. But you need to learn detachment of the conditioned mindset first. This is where this book comes in. Ask yourself, if you continue on the path you are on, where will your life be in a years time ? Are you willing to step out of your conditioned mindset, binded by its emotional highs and lows, and prepare for permanent bliss in your life ? It is by no accident that you are here. There is something for everyone in this book and if you are searching, the answer is in the book. 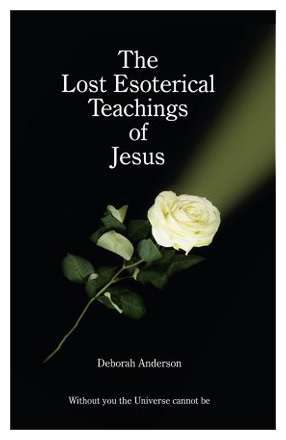 These teachings were not meant to be secret or lost!. They were for everyone, to liberate and heal the mind and soul. 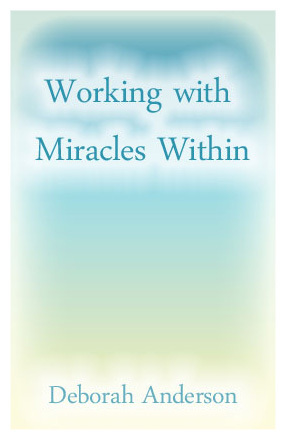 This book is for you to find your destiny, your soul purpose, inner healing, detachment from negative thinking and stepping towards inner happiness - Enlightenment. Discover the amazing message God has for you. As He took me, in just 3 minutes, from life into death, deep into his Light and into the pesence of the true God - a truley loving Being. 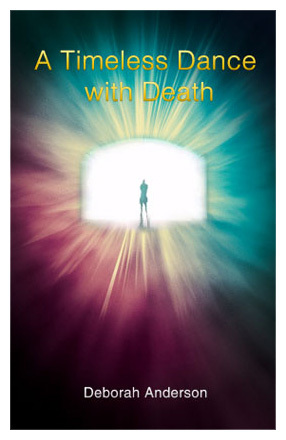 In my new book A Timeless Dance with Death, read about my journey into the bliss state and back. A near death experience that transformed my life and took me, in just three minutes, deep into the Light and into the presence of the true God - a truly loving Being.